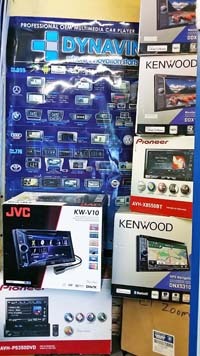 CT Zoom Auto Car Accessories was established about 12 years ago in Klang, Selangor. With our many years of experience in this field of ICE (In Car Entertainment), it has made us a Leading Car Audio and Sound System, Car Accessories, HID LED lighting professional car modification Professional fast and secure, installing remote car starter, keyless entry, alarm system or audio system, Car Windscreen Installation and Repair Services, Windscreen Tinted retailer and installer in the Malaysia. CT Zoom Auto Car Accessories Sdn Bhd provide complete retail sales, service and installation of a wide range of car audio and sound system products, Our team of certified technicians will ensure that you receive quality service when installing your remote car starter, keyless entry, alarm system or audio system. 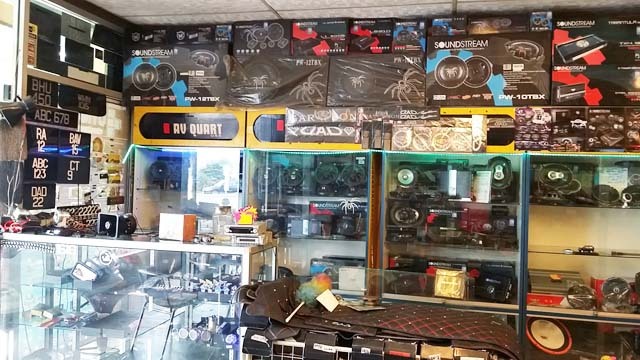 At CT Zoom Auto Car Accessories Sdn Bhd, we offer a wide range of Car Audio and Sound System, Car Accessories, HID LED lighting professional car modification Professional fast and secure, Car Windscreen Installation and Repair Services, Windscreen Tinted retailer and installer and related products. 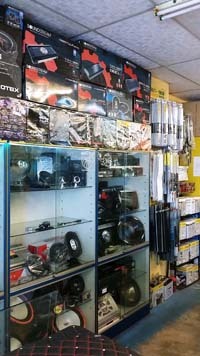 With this wide range of products, our clients are spoilt for choices when it comes to your Car Audio and Sound System, Car Accessories, HID LED lighting professional car modification Professional fast and secure, Car Windscreen Installation and Repair Services, Windscreen Tinted retailer and installer needs. CT Zoom Auto Car Accessories Sdn Bhd team of certified technicians will ensure that you receive quality service when installing your remote car starter, keyless entry, alarm system or audio system. 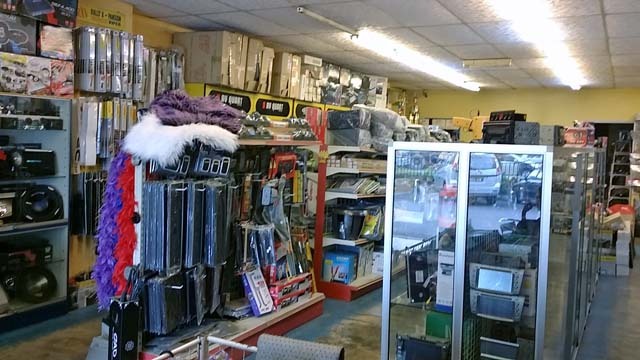 Out retail outlet carries car audio and sound system products from many leading international brands including, but not limited to, Alpine, Panasonic, Pioneer, Kenwood, Sony, JVC, Clarion, Blaupunkt. 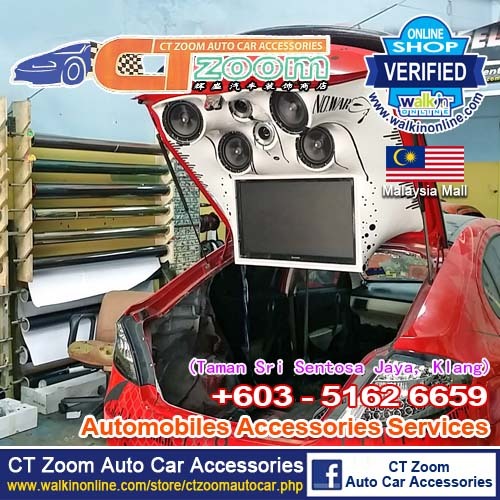 CT Zoom Auto Car Accessories Sdn Bhd also boasts of having a team of dedicated, friendly, professional and highly trained personnel in both area of sales and technical installation. 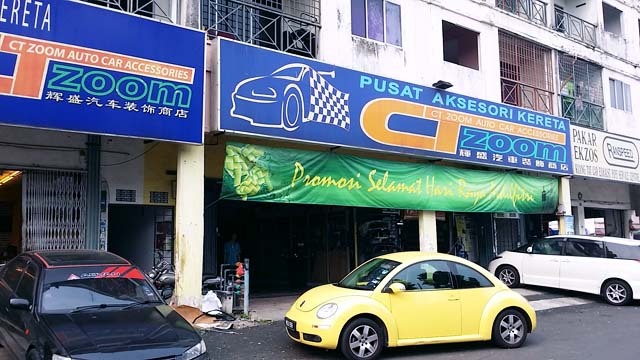 At CT Zoom Auto Car Accessories Sdn Bhd, we strive to provide the best services to all our clients, ensuring client's satisfaction of our car accessories related product, workmanship and services. 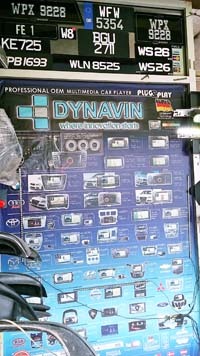 We also offer warranty for all our products and installation workmanship. From car headlights Hid, fish eye transplant, ccfl aperture transplanted into sections Led car interior lights, reading lights, small lights, turn signals, brake lights, reversing lights, rear fog ... etc and modification of gas dam lights, shine lights, mood lights, door lights are the company operating the project, the company operating the vehicle with many types of lighting modification boutique, on-site technicians also more than seven years of experience, not generally comparable half-baked technology division, in the most professional technology and fair prices to the consumers, no random extortion. CT Zoom Auto Car Accessories Sdn Bhd have been in this car accessories, HID LED lighting professional car modification Professional fast and secure and car audio and sound services industry for more than 20 years. Our satisfied clients are our best track record that we offer to our potential clients. We provide the best services in this field. Our friendly, dedicated and professional staffs are able to give recommendation about the products according to your specification. Our staffs are attentive and always ready to help in any way. 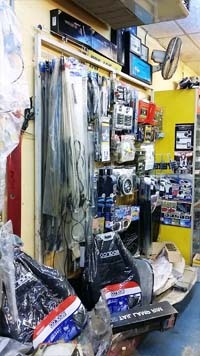 Here at CT Zoom Auto Car Accessories Sdn Bhd, you can be assured of the quality of our workmanship. All our technician and installer are highly skilled in their area of work. Besides that our staffs are highly passionate about what we do. This is because we are also car accessories and car audio and sound system, HID LED lighting professional car modification Professional fast and secure and windscreen tinted installation enthusiasts. Driven by our passion, we will always perform our best. 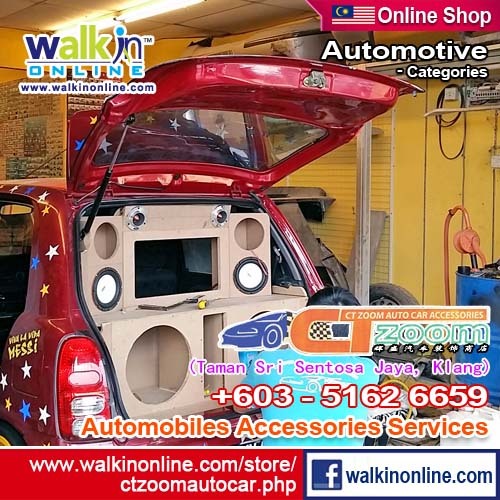 CT Zoom Auto Car Accessories Sdn Bhd also carry many leading international brands of car audio and sound system products, Windscreen Tinted products and HID LED lighting professional car modification Professional fast and secure at our outlet. You will be choice with the wide range of car audio and sound system, Windscreen Tinted products and HID LED lighting professional car modification Professional fast and secure products that we have. We provide warranty for all our products. At CT Zoom Auto Car Accessories Sdn Bhd, you can be sure that you'll receive the best service, workmanship, and material from us. Your satisfaction is our utmost priority.